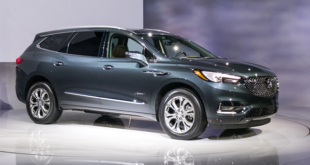 The Buick carmaker has given a mid-cycle refresh to its popular SUV which will enter the market as the 2019 Buick Envision. The newest Envision has gotten a revised exterior design with a new grille, LED headlamps, and heavily refreshed rear fascia. Inside the cabin, we will notice some improvements in the tech department. And it will be available in base, Preferred, Essence, Premium, and Premium II trim levels. Engine-wise, it will get an upgraded turbo engine and a new transmission. 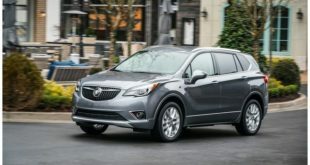 The 2019 Buick Envision will return with a choice of two engines but this time we will see some improvements in power. So, the base unit will be the same 2.5-liter 4-cylinder engine which is rated at 197 horses and 192 pound-feet of torque. It is linked to a 6-speed automatic transmission and comes with front-wheel and all-wheel drive configurations. The front-wheel drive model gets 22 mpg in the city and 29 mpg on the highway. The all-wheel drive variant is estimated to be 21 mpg in the city and 27 mpg on the highway. The next option is a 2.0-liter 4-cylinder turbocharged engine. This one is able to deliver 252 horsepower and the torque of 295 lb-ft. So, the 2019 model year now comes with the improvement of 35 pound-feet of torque compared to the previous model year. This unit will now be mated to a new 9-speed automatic transmission. It will come with all-wheel drive only while both engines will feature the standard stop/start system. 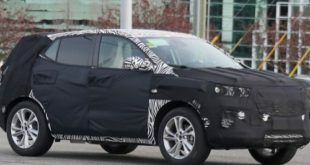 The manufacturer has given its new 2019 Buick Envision a mid-cycle refresh meaning we will see some important changes in its design. The front fascia has been revised with a new grille which no longer features a waterfall look but instead a new chrome wing emblem. The bumper has also been restyled with a sharper look. And all the models come with either HID or LED headlamps with LED daytime running lights. The rear fascia has also been fully refreshed with new taillights, liftgate, and bumper which now seem to appear more aggressive. The taillights come with LED lighting and there are integrated chrome dual exhaust outlets. 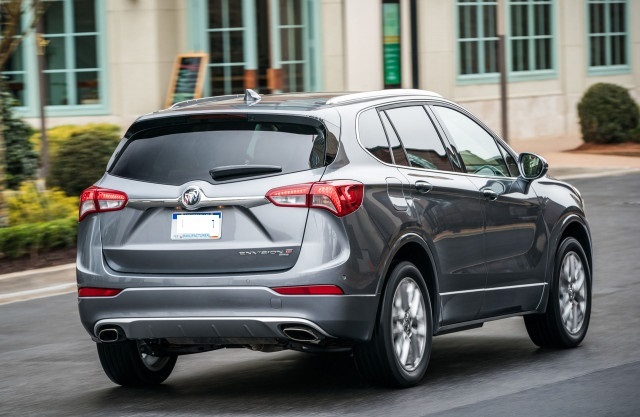 Furthermore, the new Envision is now offered with new 19-inch wheels. 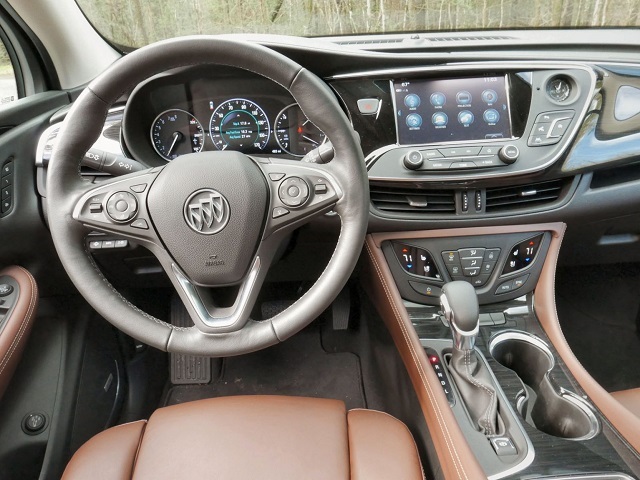 Inside the cabin, the 2019 Buick Envision keeps with the same two-row seating configuration. So, it can accommodate up to five passengers. However, this time, we will notice some changes considering feature upgrades. This time the manufacturer will fit it with the revised heated seats which will now warm more quickly. 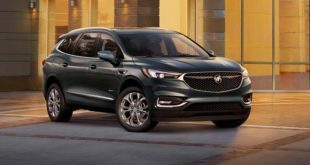 As well, the new Buick will come with upgraded wireless phone charging pad, better backup camera, and improved hands-free microphone. Furthermore, it will come standard with an 8-inch touchscreen for the infotainment as before. And it will feature Apple CarPlay and Android Auto connectivity. As for the safety, 10 airbags, a rearview camera, park assist, and a rear-seat reminder are all standard while the automatic emergency warning and other features are mostly optional. 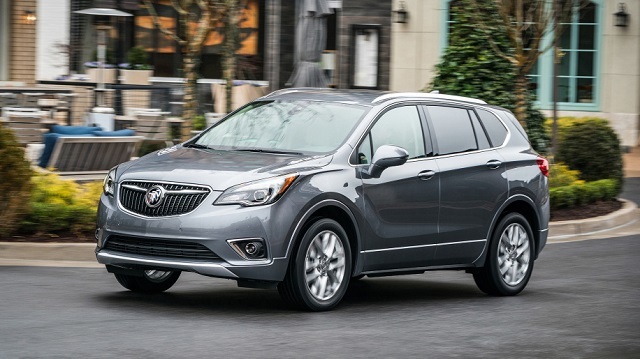 The newest 2019 Buick Envision is ready to go on sale. This time is more affordable compared to the current model. And it begins at around $34,000 while the range-topping model will be around $44,600.